These new banners for The Dark Knight present me with a conundrum. On one hand, I really don’t have anything more left to say about them. 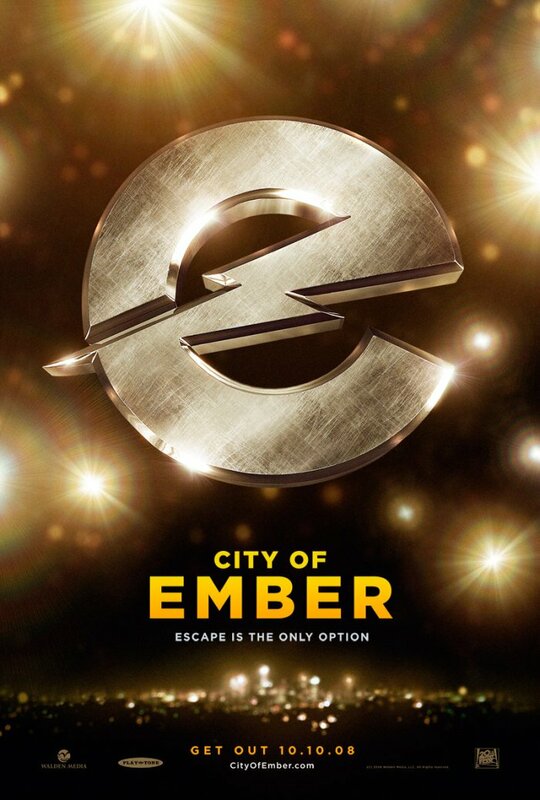 For a moment I thought about mentioning that as we get closer to the actual release of the film the posters are getting more action packed and chaotic, but then I remembered I already said something like that. I could talk about how the Batbike is getting prominent placement in some of these posters, but even I don’t actually think that means much of anything. On the other hand, it’s not like I could possibly not post them. (From Omelete, found with the help of Casty the Clown). 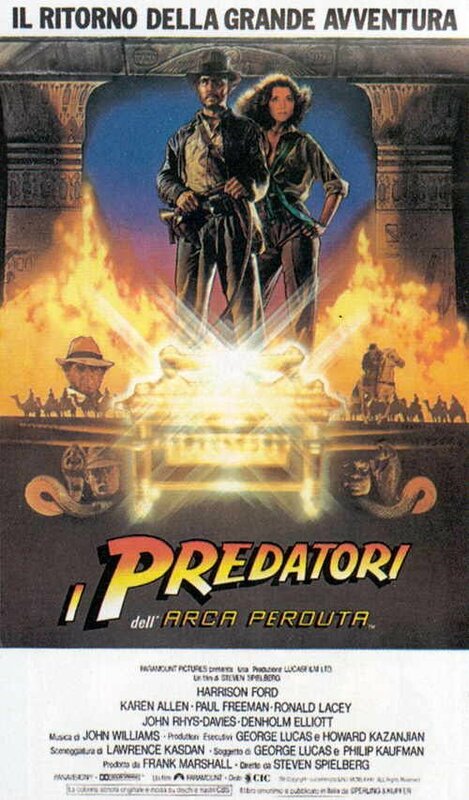 When it came to The Last Crusade poster campaign the people at Lucasfilm, and I imagine Lucas and Spielberg themselves are the people in this case, decided to turn the reins to Drew Struzan. Well, not completely, after all anything he done still had to be approved and he was working from some instructions, but he was the illustrator in all the main posters. 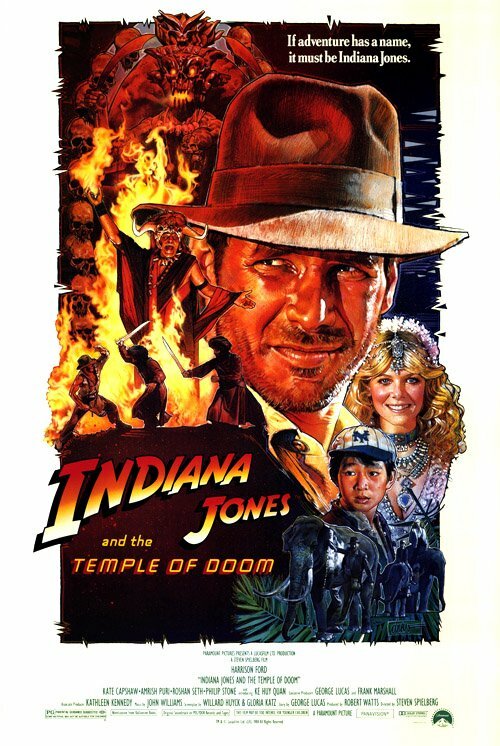 That seems fitting, after all Struzan had been illustrating Indy for several mediums for years at that point, and had produced a great poster for Temple of Doom. 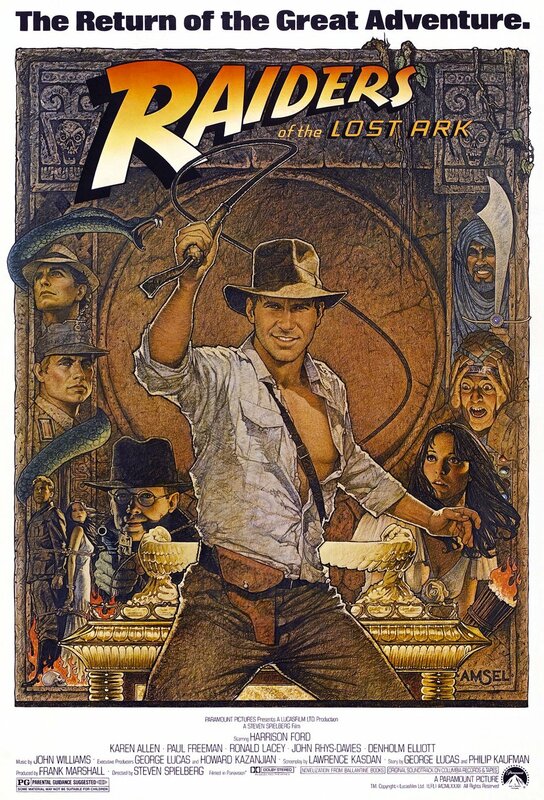 The result of Struzan’s effort on for this film were the above teaser poster, which is beautiful but doesn’t really get the “Indy is Back” excitement as well as the poster for Temple, and, more importantly, the poster below. The montage fits well with Amsel’s great re-release poster for Raiders and with Struzan’s own poster for Temple of Doom. The same style of montage would also end up being used in Drew’s poster for Crystal Skull. But if you ask me this the best Struzan montage poster for Indy, perfectly balancing all the amazing things it wants to show in the space it has. Brilliant. 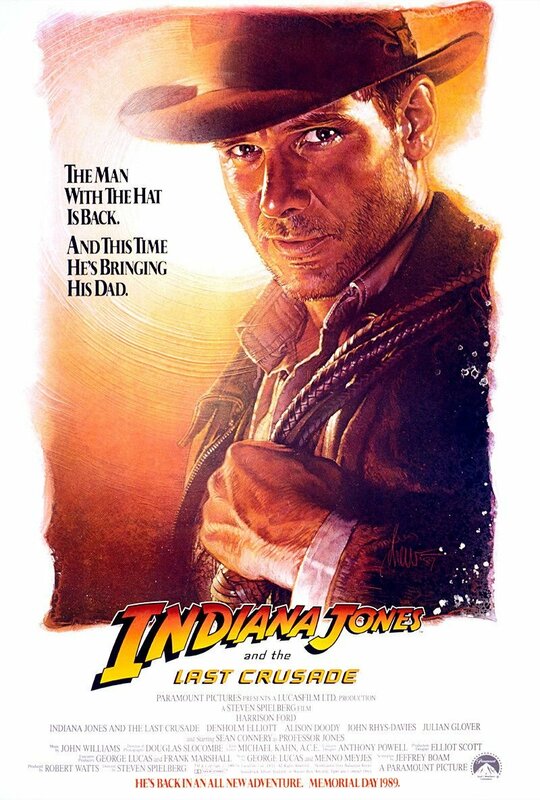 In the end I still think the Amsel’s poster was better, and captured Indy more completely, but we are arguing between great and even greater now. If I say that the main poster for Temple of Doom, drawn by Bruce Wolfe, is the weakest of the the main posters created for the first three Indys I hope you’ll understand that it only suffers because it is being compared to truly great achievements. The truth is that there is plenty of things to love about this poster. The main strength of the poster is that it gets the Jones is back excitement just right. It and it does so simply by having Indiana standing there in the corner, entering some dangerous looking underground construction but still looking as calm as a man can possibly be. Yeah, he is back, and he is as cool as ever. 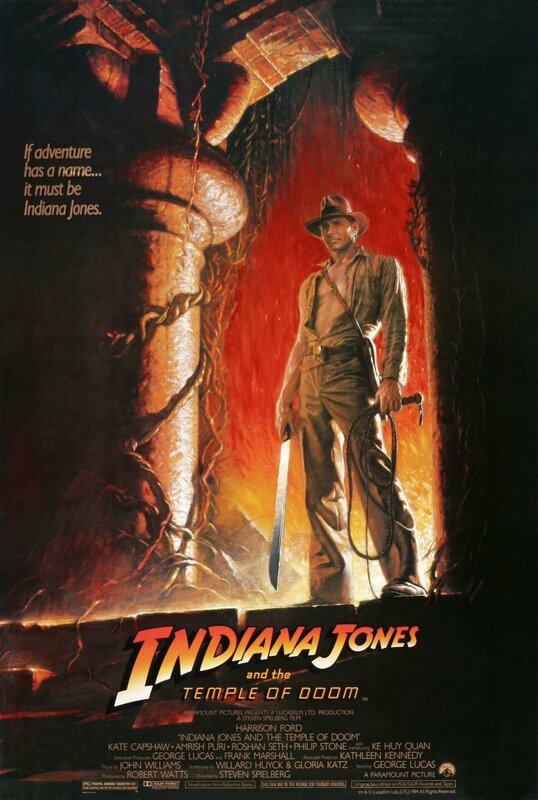 Much like the film this poster is darker and more serious than the usual for the series, even giving Indy a machete to go along with his whip. 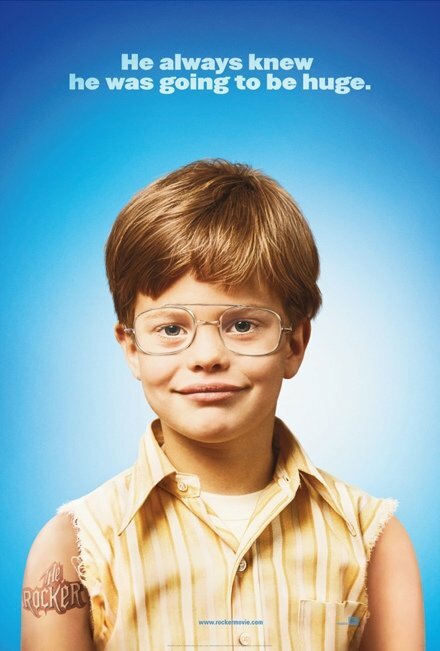 The endearing self-confidence is there, but the fun, the vistas, the amazement is lacking. 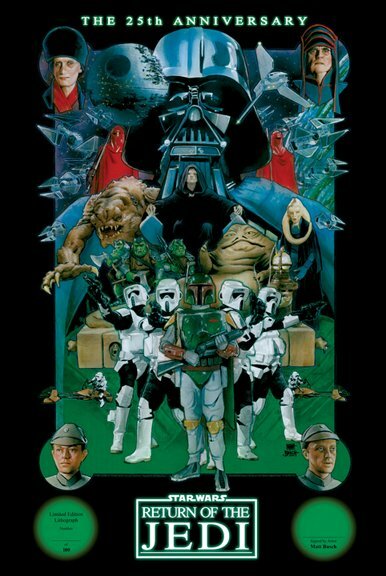 After the film had already been released it got another poster, this time from Drew Struzan, that was much more faithful to the spirit of the series. 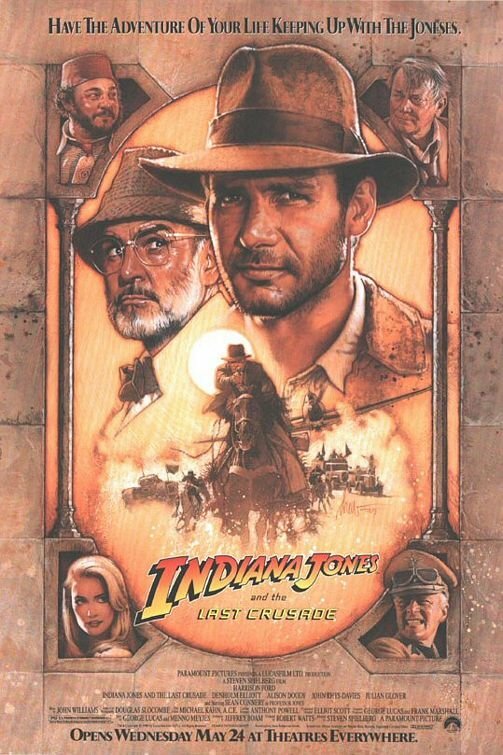 Struzan has said this is his favorite Indy poster, and I can see why. 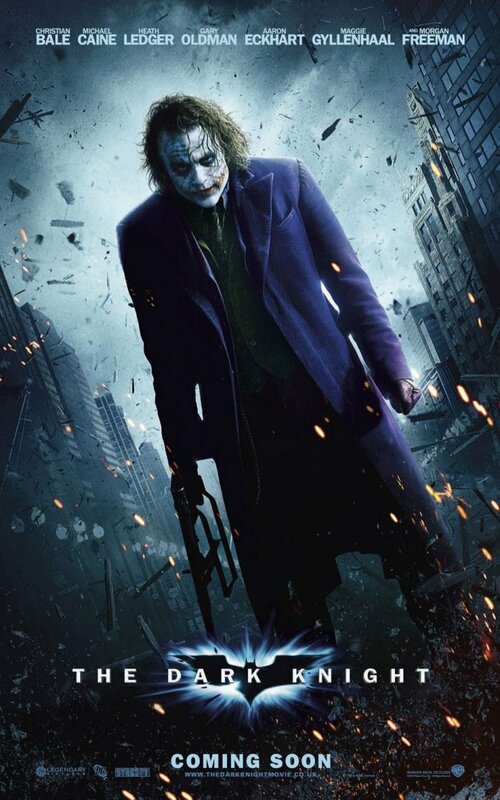 It was used on the DVD cover and because of that I imagine it will become more and more associated with the film. 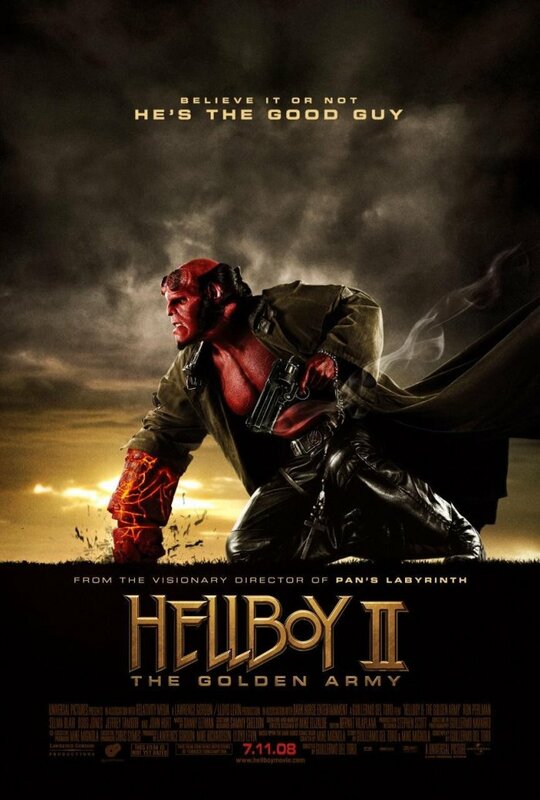 In anticipation of the release of Crystal Skull I have been spending some time lately looking at some of the great posters that were done for the previous Indy films. I had so much fun doing it I imagined you guys might appreciate some posting (and in many cases reposting) of images from these beautiful works of art. 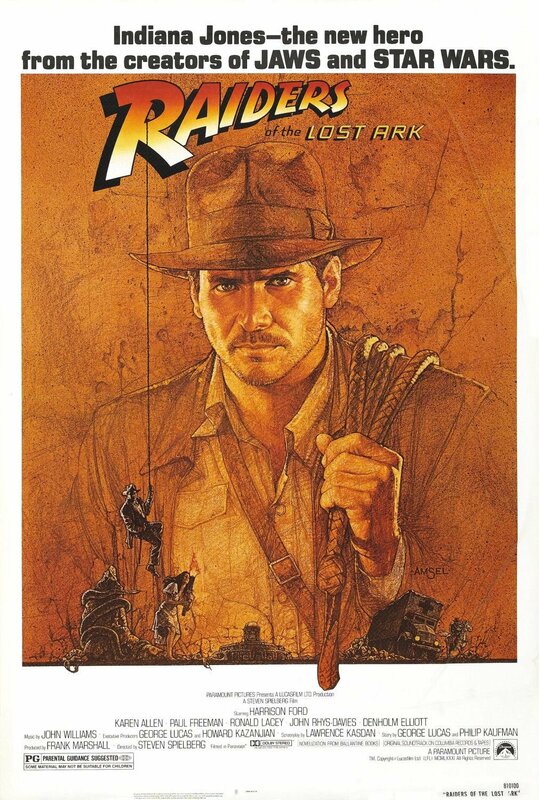 First up are two posters from Raiders of the Lost Ark, both created by Richard Amsel. Amsel was yet another brilliant artist that died way too soon, at the young age of 37. But that was enough time for him to create some of the most memorable images of the latter part of the last century, including classic posters for The Sting, McCabe & Mrs. Miller and, of course, the above poster for Raiders. Although there have been many great posters for the series, I still think that this one is the best. It throughly encapsulates the magic of Indiana Jones, it’s mix of modern and old, it’s wealth of amazing places, things and characters, and it’s sheer fun. 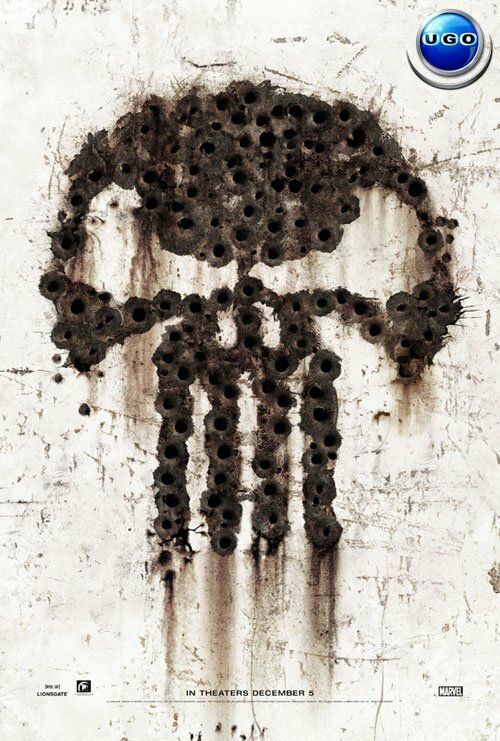 It is certainly on of the best posters ever created. It was however, not the first poster for Indiana. Although it is nowadays the most recognizable poster for that film it is actually the poster for the 1982 re-release. The poster for the original release was also drawn by Amsel and you can see it below. Not quite as amazing, but still brilliant. And possessing of the kind of artistry that is rarely allowed in modern posters. 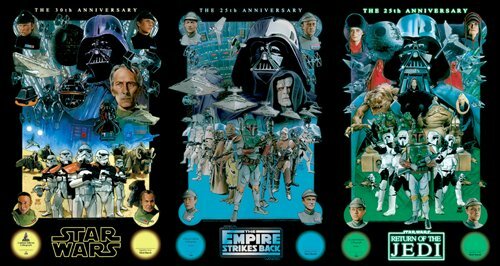 As a bonus, here is Drew Struzan, who has done posters for all four Indys. In the case of Raiders it was an international, and not very well known poster.